Use the acorn measuring tape to see how tall each flower is. This is a good reinforcement after teaching a lesson on measuring and height. ME, Monthly! 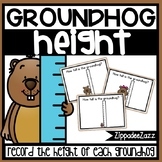 Monthly Worksheet to measure height, weight, age and more! Cut the seed measuring tape out and use it to measure the height of each fruit. Although the fruit is in color, it prints out very nicely in black and white. Thank you to www.scrappindoodles.com for the great graphics! 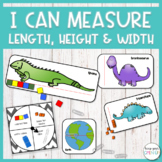 Students will get practice using a ruler and measuring inches in two dimensions: height and width. We are studying Asia, so I chose two of the animals we are learning about. 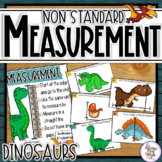 On the back the students will get to draw and measure their own animals! 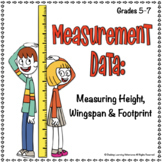 Data: Measuring Height, Wingspan & Footprint is a fun activity to get back into the swing of a new school year, and one piece of data your students will enjoy collecting. The Silent Number Line activity (included) gives them a special challenge with a visual perspective they won’t soon forget. Students design and construct their own surveying tool to measure very tall objects outdoors. 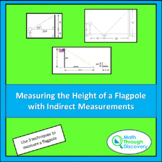 Everything you need for a compact trigonometry project. Students use Clinometers to measure the height of different objects around the room.